Over the last 24 hours we have heard from the RBA, ECB and the Fed and while they are all on hold for the moment, they are all leaning in different directions when it comes to the outlook. 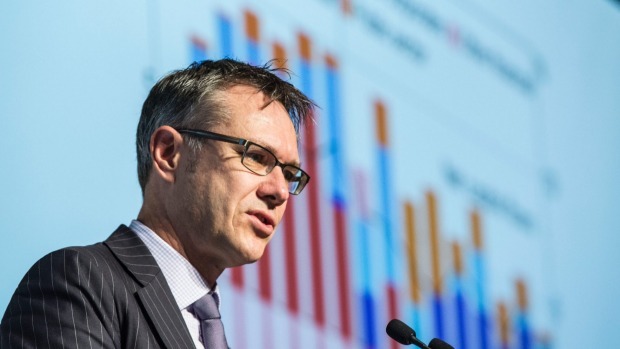 Yesterday RBA Deputy Governor Guy Debelle did his best to capture where the RBA’s current thinking is at when it comes to its assessment of the economy and what it means for monetary policy. He walked through the ‘tensions’ in the data where the weak growth figures and strong employment numbers are throwing up conflicting messages on Australia’s economic performance. We know that the RBA is comfortable with the inflation rate sitting outside of the target band over the short term as long as it is expected to move back towards the target band over the medium term. Core inflation has been outside of the target band but the RBA still expects it to rise back into the target band over the medium term. We get an update on inflation later this month and unless it is sufficiently weak enough to alter the RBA’s expectations that it will rise over the medium term then it is unlikely to impact the outlook for monetary policy. This means that employment outcomes remain the key to the outlook. So until this ‘tension’ between growth and employment resolves itself, the RBA is in no rush to make any chances to the current setting of monetary policy. Updates from the ECB and Fed overnight confirmed that monetary policy in both their respective jurisdictions is unlikely to change in the short term. However that is where the similarities end. The ECB confirmed that the weakness in the data of late is likely to persist for some time yet. They are still working on their lending programs to banks to keep cheap credit flowing. However there is little appetite for the credit which means they are working on other alternatives to support activity in the EU which will help boost inflation. Meanwhile the message from the Fed was that will continue to pause their tightening cycle to ensure they don’t choke off growth too early. They remain positive in their outlook for the economy and if the data evolves as expected then rates are likely to resume rising at some point. The outlook based on the current data suggests that they are likely to remain on hold for the remainder of the year but a hike can’t be ruled out if the data picks up once again. Despite what central banks tell us, the market is far more circumspect. The market is Australia still has one cut full priced in for this year with a follow up one nearly fully priced in for next year. In the US the market almost has two cuts priced in despite the Fed’s persistent positive outlook. As a result both the market and central banks alike will remain acutely focused on the incoming data over the next couple of months.